No time to read?Listen to this article here. Ecommerce is still in its early stages in Latin America, which makes it one of the top regions for the market’s growth in the world. It’s increased population, disposable incomes, regional success stories, vast new online populations are some of the reasons for this growth. For the longest time, Brazil has been the most promising country for merchants looking to expand their e-businesses cross-borders. Between the years of 2007 and 2009, we have seen an 80% increase in year-on-year online spending in the nation. The Brazilian online economy is still growing. At its current rate, it is expected that it will overtake Germany in just a few years. However, Brazil can be losing its position to another Latin American power: Mexico. A recent study stated that, as of 2018, Mexico could be leading the ecommerce market in Latin America, with an annual spending of 21 billion US Dollars, surpassing Brazil. However, this data differs from all the reports on ecommerce in LatAm published so far. According to the Asociación de Internet de México, ecommerce sales in Mexico were worth USD 17 billion in 2017, still a little behind Brazil, who yielded USD 18.7 billion in ecommerce in the same year. But can Mexico really surpass Brazil in online sales? Today’s Mexico has a lot in common with Brazil at the beginning of its boom. A young population, a burgeoning middle class and an economy that avoided the worst of the financial crisis are molding a new, desirable consumer profile. It also has an impressive population of nearly 130 million people. For those living in stable economies such as European ones, it is hard to visualize the power of a new, emerging middle class. Large groups of young, educated and employed people in the possession of disposable incomes can really change a country and its prospects. Imported goods such as electronics, fashion, and branded goods become an integral and exciting way of life. Merchants from all over the world should take this opportunity with an excitement such as the one seen in the pre-dot-com bubble days. Here is a comparison of the two countries according to their consumer profile. In all of Latin America, the group that has made more online purchases between 2016 and 2017 were consumers in the Generation X group (born between 1966 and 1981). On average, they made nearly 19 transactions per year. In fact, Gen X consumers made 20% more purchases last year than their younger counterparts, the Millennials, according to the KPMG 2017 Global Online Consumer Report. Brazil has a population of approximately 209 million people, of which 110 million are connected to the internet. 60 million of them have bought online at least once. Back in 2017, half of the Brazilian e-consumers shopped in international online shops, spending a total of USD 2.7 billion in cross-border websites. Roughly 30% of all online purchases were made through mobile devices. The top leading categories of products purchased on international websites are Electronics, Software, Fashion and Accessories, Mobile/Telephones, Toys and Games, Cosmetics and Personal care, Automotive accessories, Books, Furnishings and Decoration, and Sports and Leisure products. The hottest dates to sell in Brazil are Christmas, all throughout December, Black Friday, which was successfully imported from the United States and sometimes extends all throughout November, and Mother’s Day, which is celebrated on the second Sunday of May. Another thing worth noting for those interested in selling in Brazil is that the consumers in the country are very much into discount websites and coupons. Most of the middle-class consumers are aware of the fact that the prices online for consumer goods are better than in brick-and-mortar businesses. They are also more satisfied with customer service policies in the online environment. Out of the 130 million people living in Mexico, 80 million are internet users. The internet penetration in the country is 56%. 34 million is the number of e-shoppers. The current unemployment rate in the country is fairly low, at 3.4%. The number of e-shoppers in Mexico grew 8.11% in the past year. Like in Brazil and Canada, the majority of Mexicans online buyers make international purchases. Because of increased digital literacy, financial inclusion and Improvements in connectivity, it is expected that ecommerce in Mexico will continue to grow. Multichannel brick-and-mortar (also called brick-and-click) retailers have reported a growth in sales of up to 25% back in 2017. From May 29th to June 1st, Mexican retailers run the Hot Sale Event, pushing special offers and promotions that encourage online shopping. Similarly to Black Friday in the United States, major e-retailers offer deals in electronic goods and apparel. It is expected that by 2021, fashion will continue to be the most popular online purchasing category with a value of over USD 4 billion. The second favorite, electronics, and media will have an expected worth of USD 3.89 billion. Understanding new consumer behavior is crucial in order to develop new business strategies focused on the opportunities that are emerging from recent changes. This goes from most shopped categories, special dates, customer service, and local payment methods. 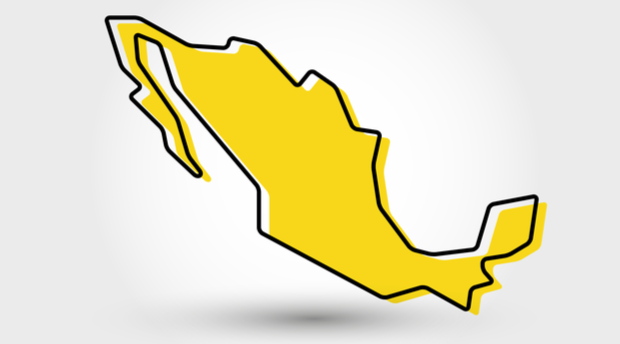 We’ve seen an impressive growth in the Mexican online economy over the past year. With so many people having internet access, the potential is very big because a large chunk of the population hasn’t bought online yet. Next year, half of the Mexican households will be online. Therefore, now is the time to start investing in Mexico. Looking at Latin America as a whole, Brazil must not be forgotten. Both countries are leading the online economy in the region by far. They have a great capacity to create and innovate to attend their new e-consumers. Because of its larger population and history of e-business, Brazil still has a bigger room for continuous development.